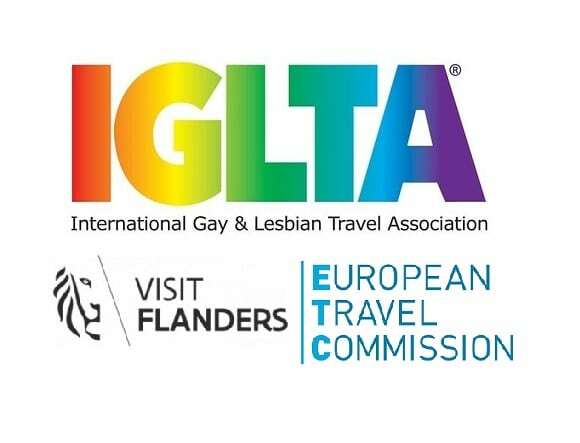 The European Travel Commission (ETC) united with the International Gay & Lesbian Travel Association (IGLTA) and the Flemish tourist board VISITFLANDERS to present the Educational Forum on LGBTQ Tourism at the Hilton Brussels Grand Place on 21 June. The event provided a preview of key findings from The Handbook on LGBTQ Tourism in Europe, scheduled for release next month as a joint research project from ETC and the IGLTA Foundation. Forum speakers also addressed ways to make Europe safer and more inclusive for LGBTQ travelers, shared best practices for reaching the diverse segments of this market, and discussed the future evolution of LGBTQ tourism in Europe. Handbook author Peter Jordan presented the first look at this soon-to-be-released research, which focuses on perceptions of 35 states within Europe from LGBTQ travelers in five long-haul markets: Russia, China, Japan, Brazil and the United States. An open-minded culture topped the list of reasons for travelers to select a destination and LGBTQ events were the leading choice for their next visit. Forum speakers also included Thomas Bachinger, Vienna Tourist Board; Mattej Valencic, Luxury Slovenia; Mateo Asensio, Turisme de Barcelona; Anna Shepherd, ILGA Europe; Patrick Bontinck, visit.brussels; Kaspars Zalitis, Baltic Pride; and Sean Howell of Hornet.